Located in the Kardinya Park shopping centre for the last 20 years our practice has a long history in the Kardinya and Leeming community. 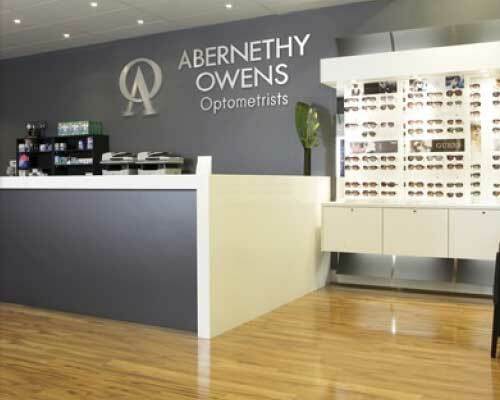 The practice is a busy hub for everything you need from the latest fashion frames, disposable contact lenses and solutions, safety spectacles for work or home, great sunglasses and last, but definitely not least, outstanding eye health care. A wealth of experience backs up our Optometry team in Kardinya with Ross Palmer, Caroline Owens and Angel Voon available throughout the week to attend to your needs and eye examination requirements. Wayne and Stephen head up our dispensing team in Kardinya with each one more than able to assist in selecting new frames and recommending the right lenses for your visual requirements, completing any repairs required and making adjustments on any current pair of spectacles or sunglasses you need. The equipment at Kardinya is state of the art with a Zeiss OCT, OPTOS Imaging Camera, Medmont Topographer, Octopus Fields Analyser and Topcon Auto-refractor and Intra Ocular Pressure tester. We value our climate and care for the environment, that's why Kardinya is a registered drop-off location with Terracycle so you can bring in your used contact lenses and blister packs for recycling. We also collect old and unused spectacles which are donated via the Optometry Association to developing countries.